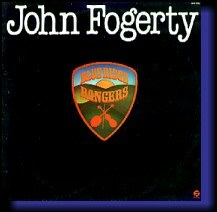 First John Fogerty solo album, released on Fantasy records in 1973 - less than a year after Creedence Clearwater Revival disbanded. This record featured 12 songs, none of them a John Fogerty original although the arrengements are vintage JF. 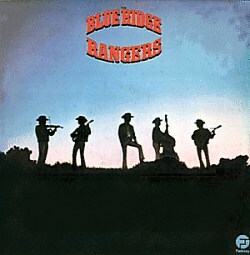 From "Workin' on a Building" (a traditional gospel tune) to Hank Williams' "Jambalaya," BLUE RIDGE RANGERS is a complete journey to the deep wells of American folk, bluegrass and traditional music, the music John Fogerty grew up listening to. 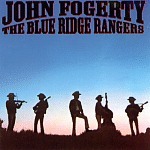 The fact that "The Blue Rigde Rangers" cited John Fogerty as arranger and producer only masked the fact that JF sang and played all the instruments on the album, a true one-mand-bandship. Fogerty's insistence on anonymity was later explained as a wish to distance himself from the shadow of Creedence and to make a stand on the merits of his music alone. 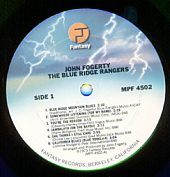 "The Blue Ridge Rangers" was subsequently re-released by Fantasy Records as "JOHN FOGERTY - BLUE RIDGE RANGERS", this being regarded as Fantasy's marketing move to cash on Fogerty's renewd popularity due to Centrefield. "After Creedence Clearwater Revival disbanded in mid-1972, John Fogerty embarked upon a solo career that lasts until today. "He strangely mantained a low profile -to the extent of implying that his debut solo album Blue Ridge Rangers had been made by the group of that name. 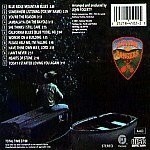 In fact, the album was Fogerty's own from start to finish -he played everything, arranged and produced, etc. The album marked a departure for him, being composed mostly of country material; nevertheless the set provided two U.S. hit singles -Jambalaya and Hearts Of Stone"